New Construction. 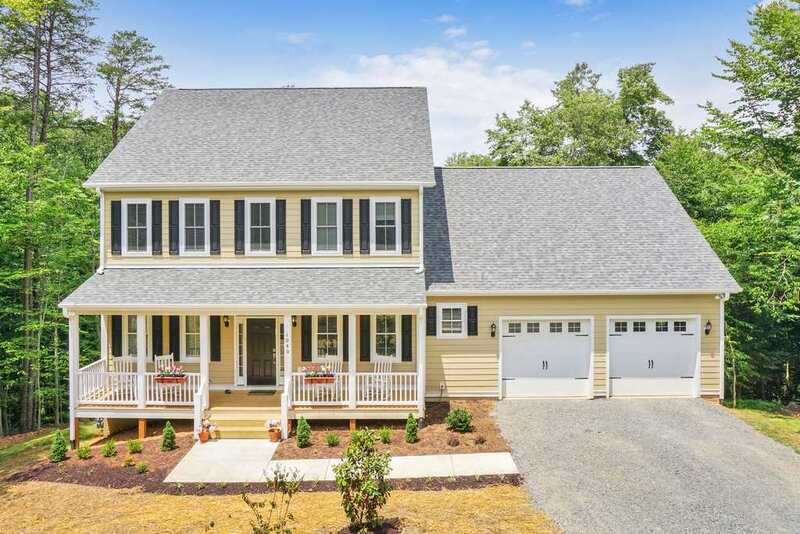 THE FARMVILLE in Spring Creek, One-level home with a basement and a spacious configuration in a resort-style, amenity filled, gated, golf course community only 15 miles east of Charlottesville. Features a beautiful kitchen with island, granite, hardwood floors, 9’ ceilings, wide-cased windows, baseboard and 2-piece crown molding. Other features include tankless water heater, Hardie plank siding, stone, fireplace and much more. FALL 2019 DELIVERY. Huntley. 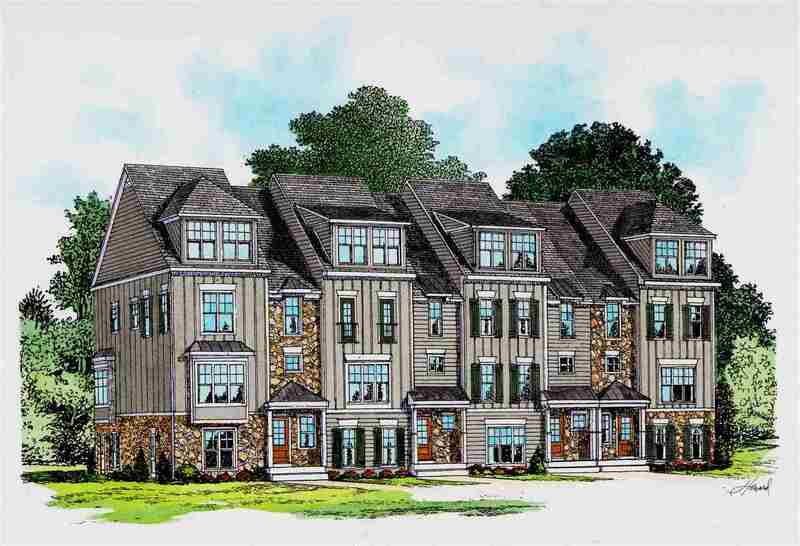 An established community in the City featuring walk-ability, easy access to all things Cville, UVA, and I-64. 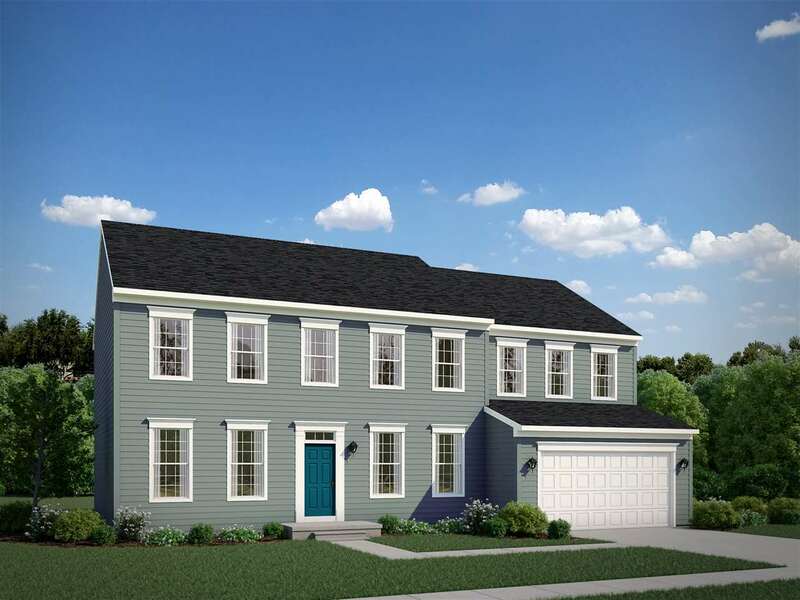 The Meridian features two story living and open floor plan on the main level with three bedrooms and two baths upstairs. 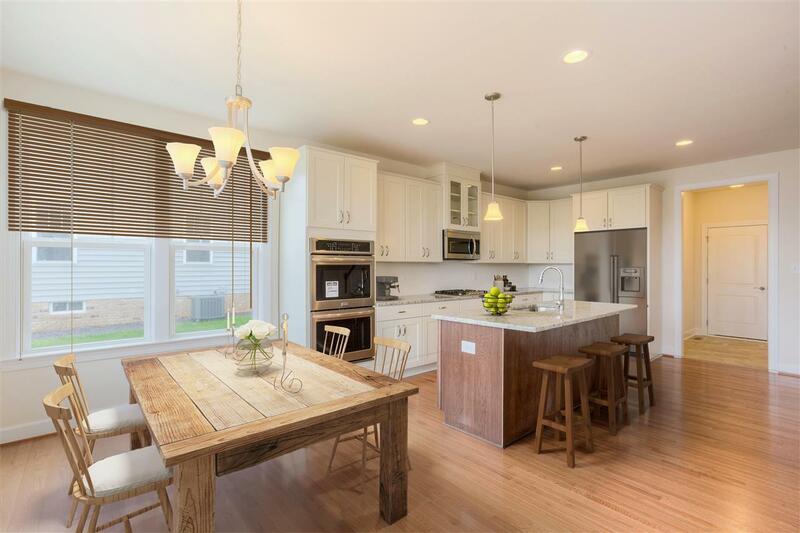 List price includes modern farmhouse exterior, hardwood flooring, granite counters, stainless appliances, ceramic tile in both baths, front & rear trex decking. Our Eco-Smart approach to energy efficiency and comfort via Green Features verified with third party HERS Score. Personalize your finishes in our convenient Design Center. Additional floor plans and lots available. Similar photos. COMMUNITY CLOSEOUT SAVINGS ON OUR FINAL LOT: FINISHED BASEMENT, $10,000 TOWARD OPTIONS & ALL CLOSING COSTS PAID THROUGH 4/30! 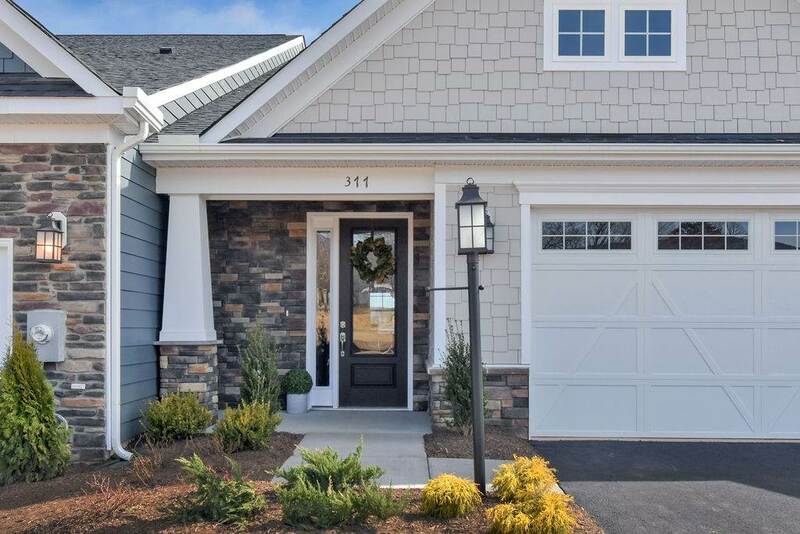 The Misthaven on lot #57 boasts an open-concept design & many high-end included features including upgraded cabinetry, granite & stainless appliances, hardwood stairs & more. And all new homes are Tested & HERS® scored by a 3rd party energy consultant & inspected by a 3rd party for quality! EARLYSVILLE Opportunity! 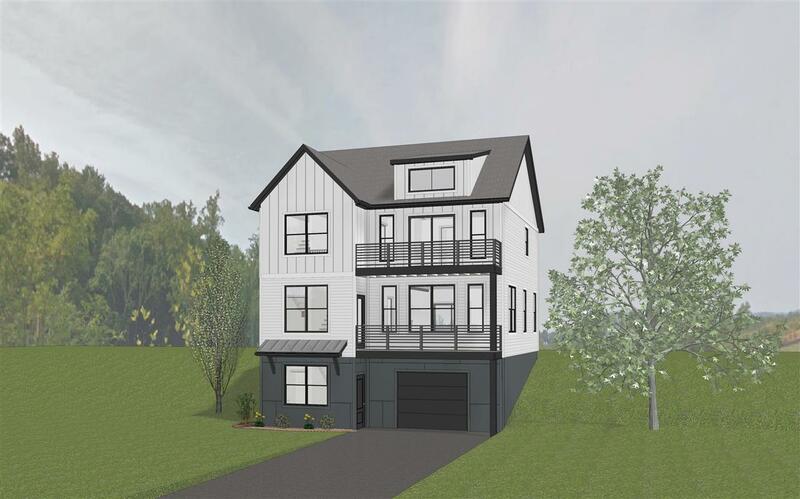 The owner of this home site has partnered with a talented local builder, Croft Custom Homes to offer you this affordable, energy efficient home. 3 Bedrooms, 2 1/2 Baths, Open design, full unfinished basement. The home site offers mountain and meadow views. Great schools, great location and much more. Builder available to meet to discuss options available so buyer can make selections to meet their lifestyle needs. See documents for copies of floor plans and pictures. Final price and design based on purchaser\'s choices with builder. Only 5 cottages to be built in this small enclave w/in Lochlyn Hill. \"The Elm\" is a charming single- family cottage set down in a lush garden offering the features of vintage craftsmanship but is appointed with modern amenities. Open spaces for easy gatherings, architectural details, first floor owner’s suite w/ 2nd bedroom or den and functional outdoor spaces. Spacious 2nd floor bedroom and flex space for office. The Elm offers plentiful included features-granite countertops, hardwood and tile flooring, wood cabinetry, stainless steel appliances, coupled with a low-maintenance footprint. 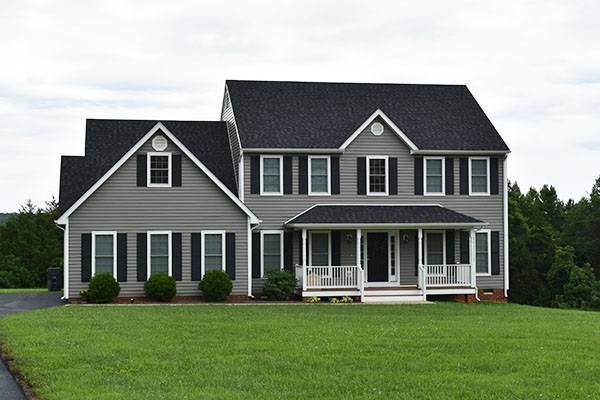 All delivered by EarthCraft Virginia’s Builder of the Year 2017. Call for an appointment to discuss the community and the cottage plans. Similar photos. Old Trail. 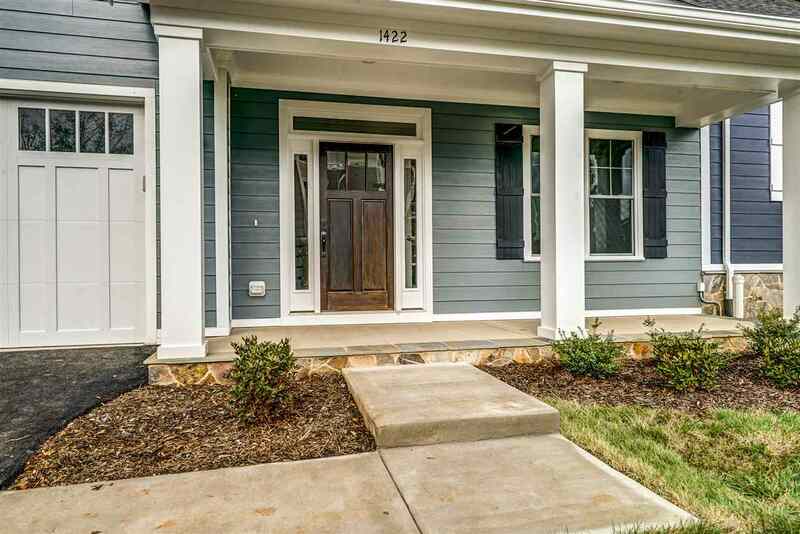 Urban style walkable living in the scenic community of Crozet. Offering the opportunity to build the Braeburn on the lot of your choice and the finishes of your selection in our convenient 3000 sq ft Design Center with Interior Designer. Main floor living with first floor master bedroom and spacious great room open to kitchen. 2nd bedroom on main level could double as a study. 2 car garage. Great finishes including maple cabinets with granite counters, stainless appliances, hardwood & ceramic tile flooring. Eco-Smart energy efficiency package 3rd party verified thru HERS score. Enjoy walking to shops, restaurants, gym, and more surrounded by mountain views. Only one opportunity to build this home in Willow Glen! Enjoy the convenience of being a stone\'s throw from Hollymead Towncenter, CHO Airport, NGIC, & DIA. The Sawyer is a versatile, spacious floorplan offering a 1st floor home office for those who work from home. The library can be used as a formal sitting area or closed off as another office... whatever suits your needs! Upstairs, the owner\'s suite offers TWO walk-in closets and a luxury bath with oversized shower and linen closet. The two additional bedrooms each have walk-in closets for much-needed storage. A flex space can be used as a lounge area, homework spot, fitness zone... you decide! With a super convenient attached 2 car garage and mudroom, this home has all you need. TO BE BUILT! Looking to own an estate or HORSE FARM? Look no further! 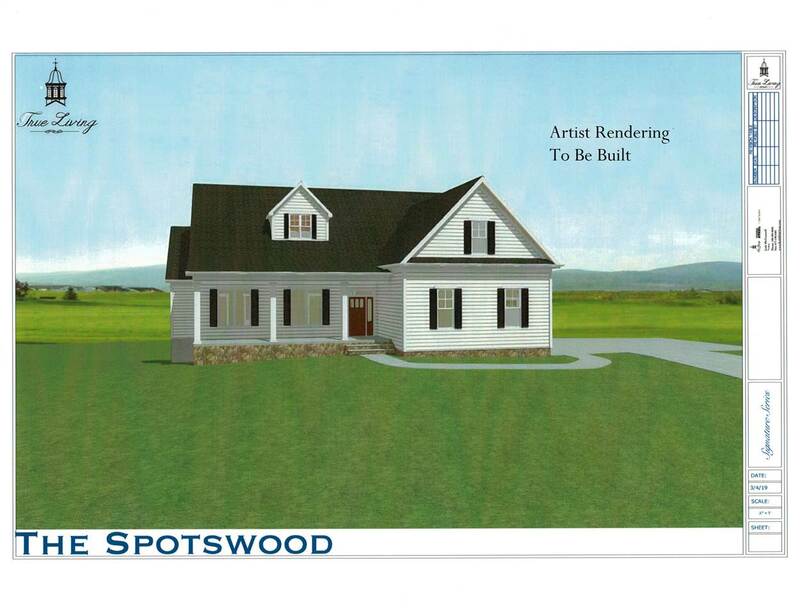 Superb construction on 11.82 ACRES. Click virtual tours & media links to get a great idea of the final product. Enjoy ONE LEVEL LIVING with FINISHED REC ROOM in BASEMENT! Kitchen boasts stylish STAINLESS STEEL appliances, GRANITE counter tops, MAPLE cabs, & SUBWAY TILE back splash. HARDWOOD floors in main living areas. FIBER CEMENT siding, ARCHITECTURAL SHINGLES, & REAR DECK. Plenty of storage in the unfinished section of the BASEMENT. Natural spring in backyard creates a magical experience as you tend to your garden. Click the Virtual Tour for some great 360 degree panoramas! Minutes from Hollymead Town Center & NGIC. Details about Superb New Construction! Summer 2019 Delivery. Interior-unit Hartfield in Cascadia. Enjoy maintenance free-living in a great location with exceptional views. 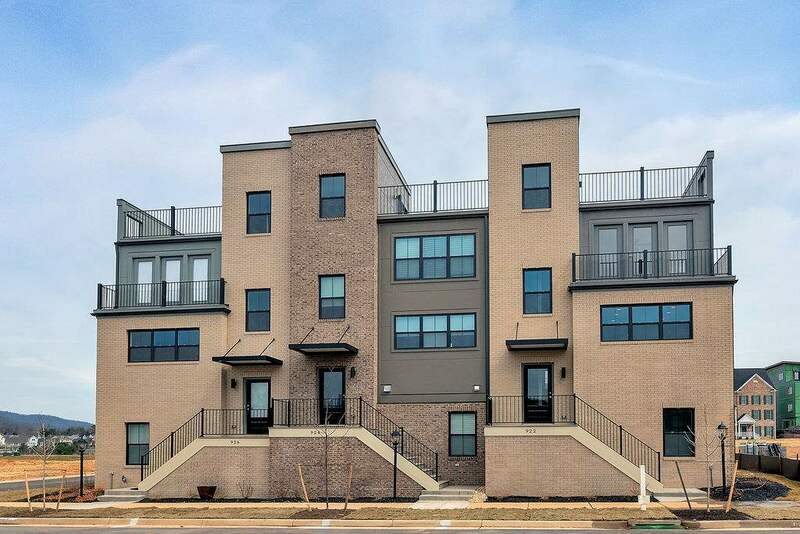 Rooftop deck included in this 4 bedroom/3-1/2 bath townhome w/ 1-car garage. 24 foot wide footprint. Main level features an open floorplan with great room, dining room, and expansive kitchen. 2nd-level includes a Master suite, laundry w/ 2 additional BR\'s and full bath. Rooftop deck on 3rd floor. 1 BR and full bath on lower level. Pool, clubhouse, picnic pavilion, playground & lawn care included in HOA. Fiber optic internet available. Closest Villa to downtown and at the best price! 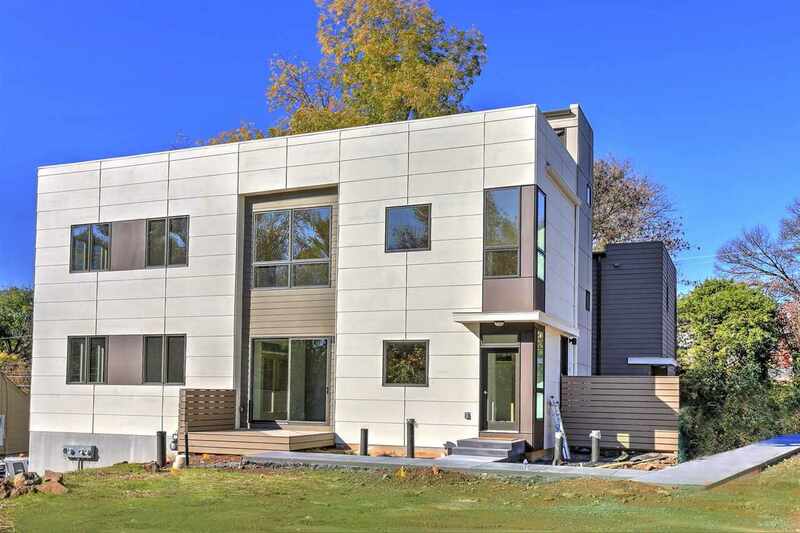 New Construction in Dunlora Park. 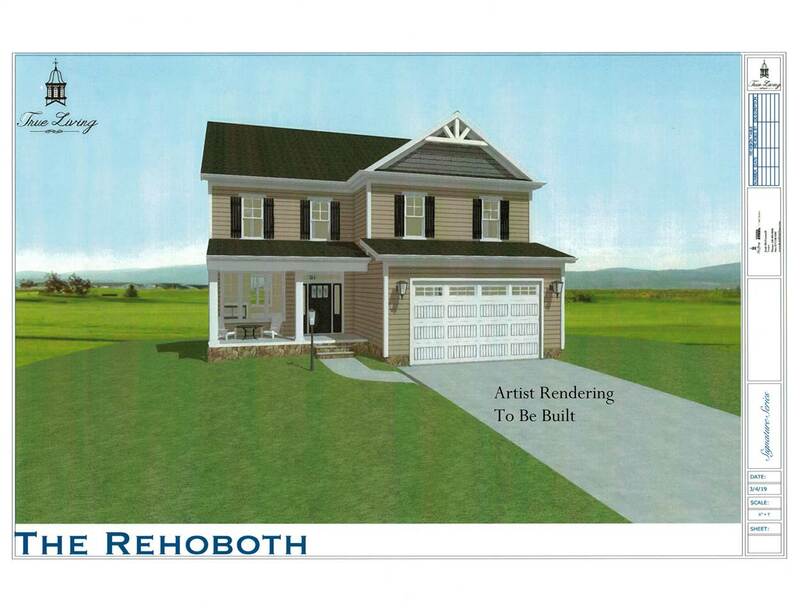 \"Willow\" 1st floor master bedroom plan with 2nd bedroom and full bath on 1st floor. 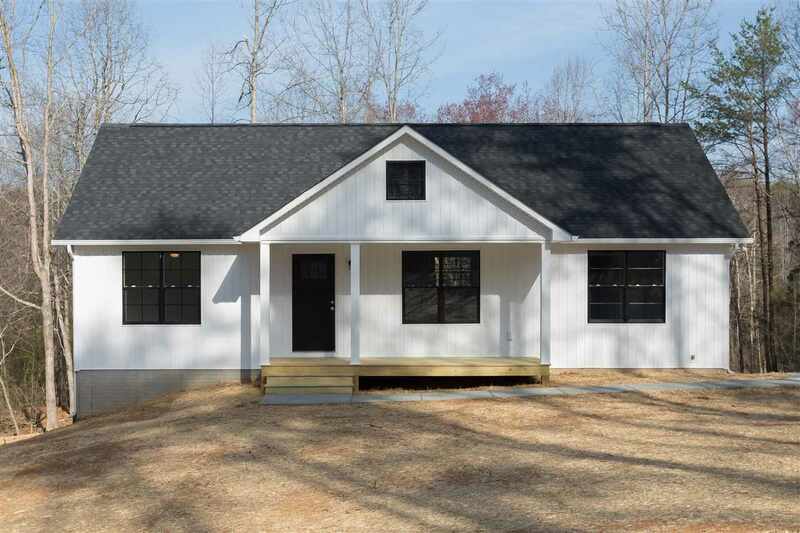 \"Energy efficient construction delivered by VA\'s EarthCraft Builder of the Year 2017.\" 2 x 6 construction. Wide plank hardwood flooring, porcelain tile flooring, tile in owner\'s shower, granite countertops, painted maple cabinetry, wooden shelving, beautiful trim detail, and so much more. Open floorplan design with zero-entry master bath shower, wider doorways and hallways are just a few of the incorporated Universal Design features within the home. Yard maintenance is included in the HOA. TO BE BUILT As you enter the foyer, the dining room and study/flex space give you the opportunity to greet your guests with a formal style or a more casual gathering space. The flex space can be converted to a guest space complete with a full bath. The family room, breakfast area and kit are open and encourage your family to gather together after a day away. The large island is perfect for meal prep or a cup of coffee. The owner’s entrance from the garage features a closet and area that can be used for extra storage for backpacks, shoes or even a dog bed or two. Upstairs, the owner’s bedroom includes a large shower, two vanities, linen closet and generously sized closet. Three additional bed rooms, loft and laundry round out the up stairs. Proposed New Home, Similar to Photo. 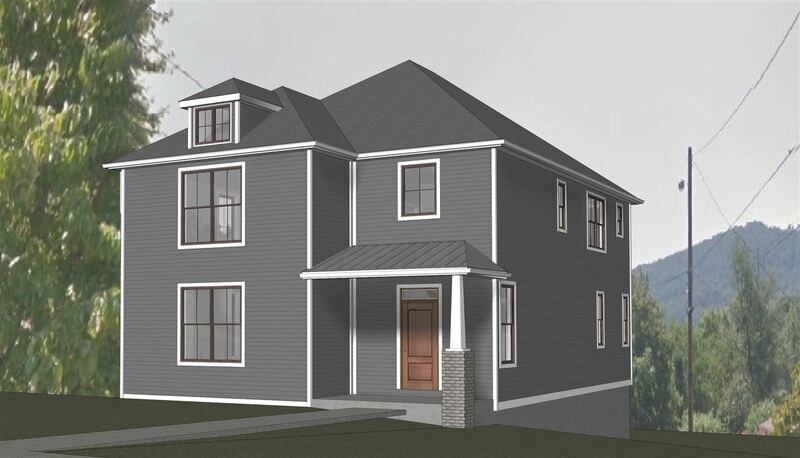 The ROSALYN features a 1st floor MBR, 10 x 20 morning room, finished bonus room & 2nd floor loft. 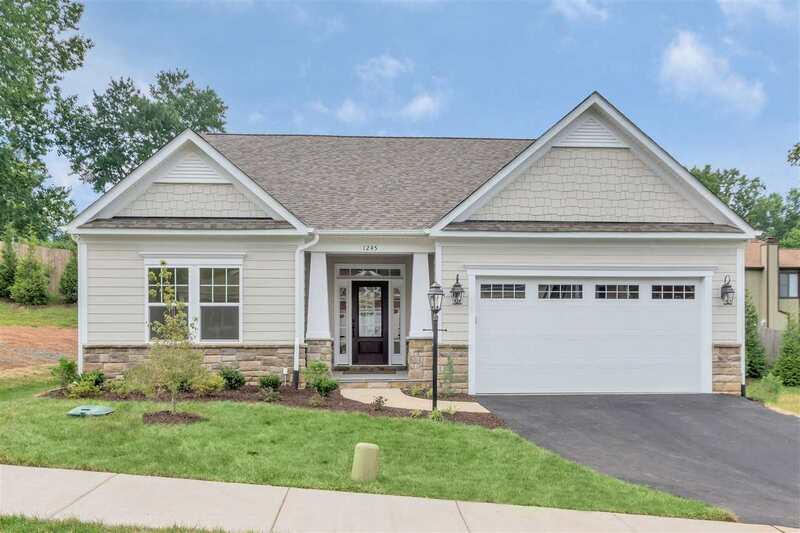 Upgrades include brick & fiber cement siding, dimensional shingles, 2 zone HVAC, HW floors, gas FP, garden bath w/ soaker tub, stainless appliances, 2x6 kitchen island w/ granite,recessed lights plus crown & chair molding. 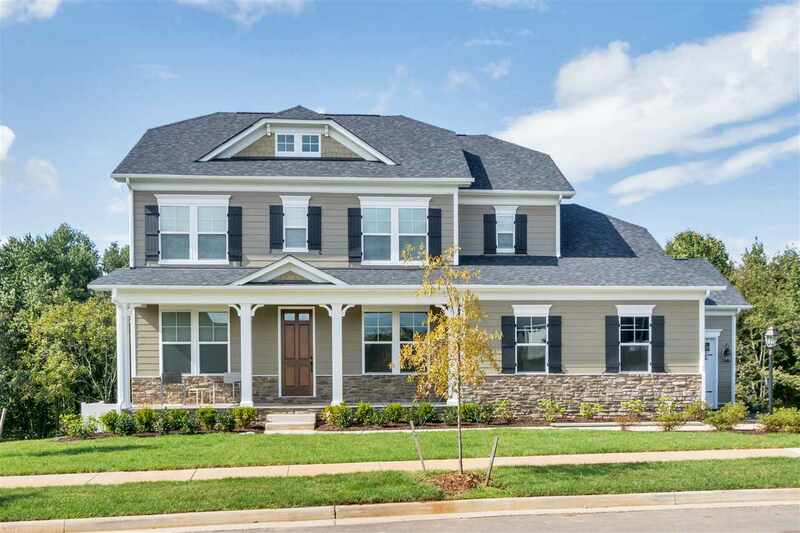 Located 15 minutes east of Charlottesville, Hidden Hills is a scenic community featuring distinctive homes on large, hardwood home sites. Home and Lot packages from the $350\'s. Septic system designed for 3 bedrooms - accommodates 6 person occupancy. Only two opportunities left to build this amazing floorplan in Willow Glen! Enjoy the convenience of being a stone\'s throw from Hollymead Towncenter, CHO Airport, NGIC, & DIA. This home is designed for the modern homeowner, with a spacious, open layout that offers a lot of storage. You\'ll love the huge walk-in pantry and oversized island! Enjoy evenings on your covered back porch... it\'s built into the floorplan. The substantial dining area won\'t leave you cramped when you host guests, and the unfinished basement gives you plenty of room to stow away holiday decor or expand. The owner\'s suite has a walk-in closet that it sure to wow, and the additional bedrooms offer plenty of closet space. Buy now to move in late summer. Belmont Point. 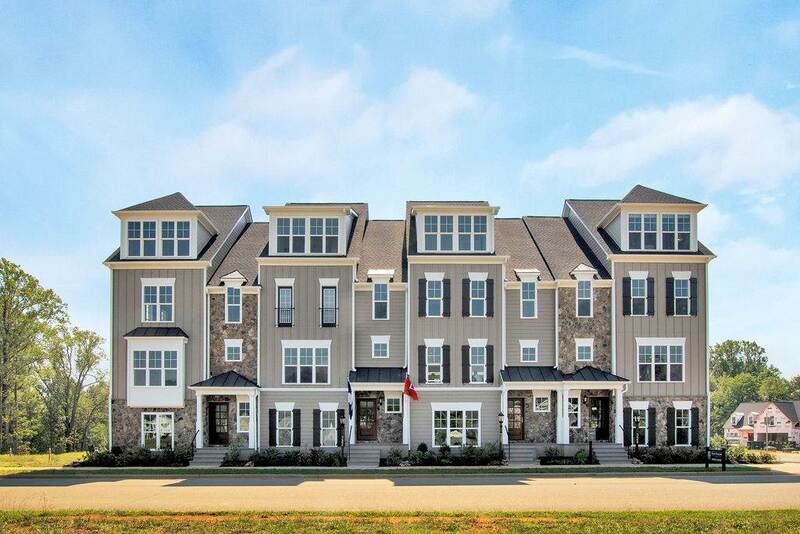 A new community in the City featuring walkability, easy access to all things Cville and I-64. 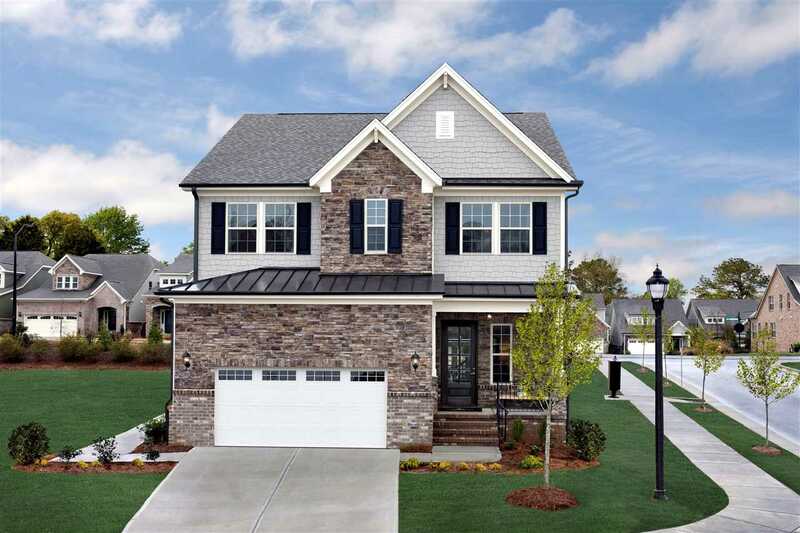 Now offering the opportunity to build The Preston featuring 2 story living and open floor plan on the main level. Priced here with unfinished basement and front loading 1 car garage. 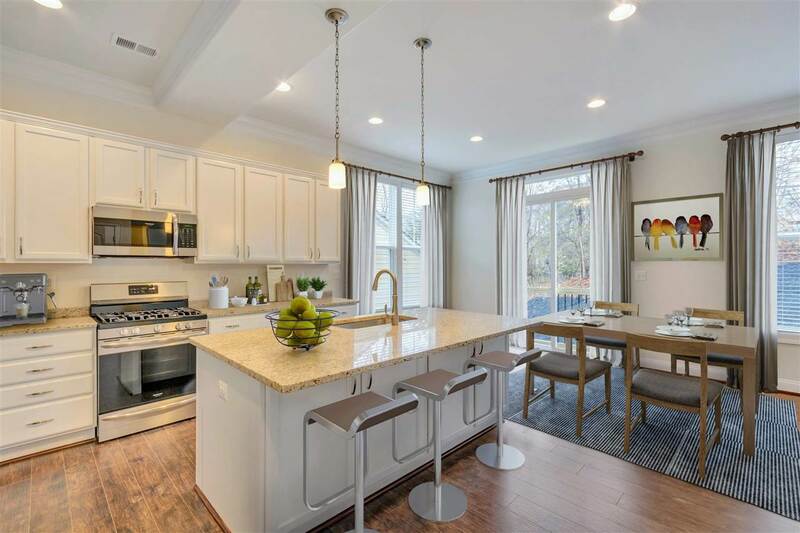 This price also includes this stylish contemporary exterior, hardwood flooring, granite counters, stainless appliances, and ceramic tile in both baths. Ask about our Eco-Smart approach to energy efficiency and comfort via insulation and equipment verified with third party HERS Score. Enjoy choosing your finishes with the assistance of our team in our convenient design center. Additional floor plans and lots available. HOA esimated TBD. New to the City, Payne\'s Mill! Single family homes, two-car garages, yards...walkable to Downtown. 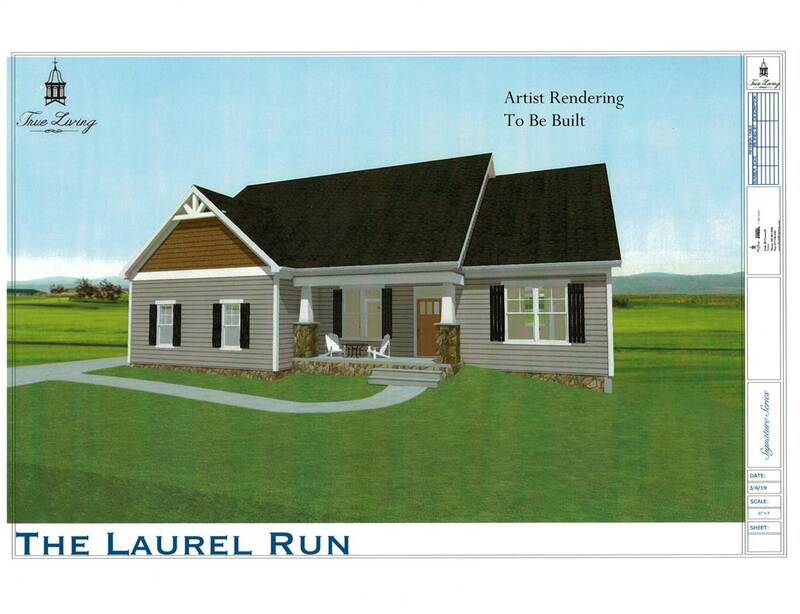 The proposed Kempton offers flexibility in layout and finishes. 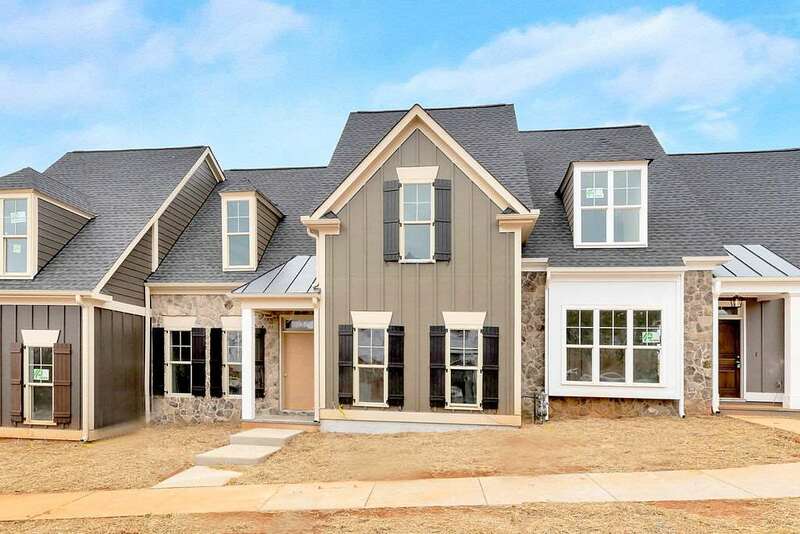 The main level features an open floor plan with two story great room, dining, flex space/study, kitchen with large island, mudroom and two-car garage. Upstairs 3 or 4 bedrooms and 2 or 3 baths are available. Morning room, covered or screened deck, coffered ceilings & multiple exterior elevations are available. Can be built on a basement as well, which could offer plenty of space to expand, with a rec room, and additional bedroom and bath, or utilize as storage. PLUS the opportunity to personalize your finishes in our convenient Design Center. Fiber optic internet. Similar photos. An intimate enclave of ½ acre homesites in the heart of Crozet! 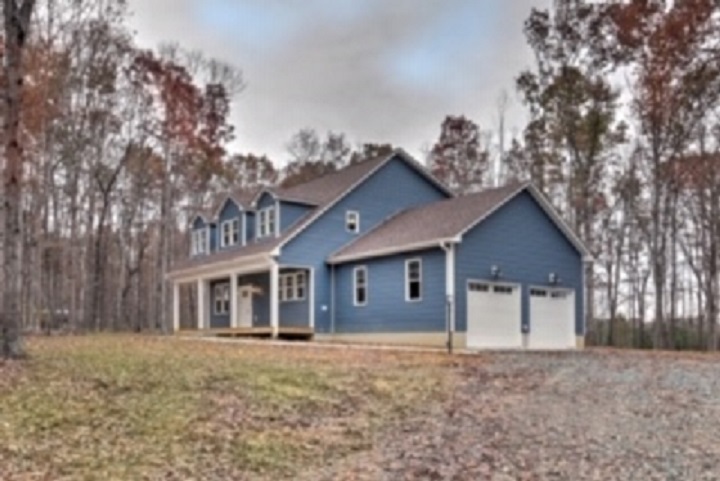 Soak up the beauty of the mountains only minutes west of Charlottesville in the Western Albemarle School District. 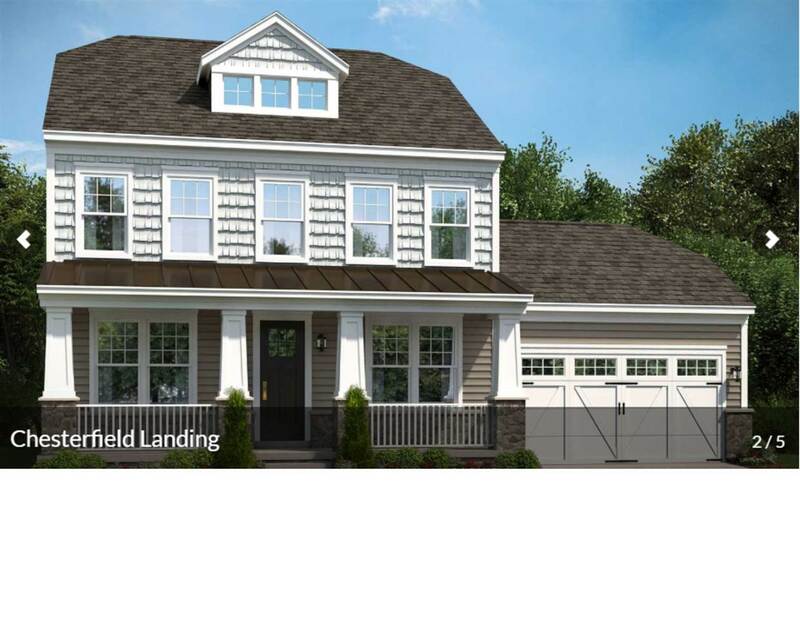 THE Pickering is a single level home with a spacious configuration in Chesterfield Landing. Features a beautiful kitchen with island, granite, 9\' ceilings and built with Green Living features in mind. Other features include a Trane HVAC, Low E windows with argon gas, whole house air cycler for improved air quality, and more. Other models available. FOR A LIMITED TIME: FREE REC ROOM and $6,000 TOWARD CLOSING COSTS WITH OUR PREFERRED LENDER AND SETTLEMENT SERVICES. Summer 2019 Delivery. End-unit Hartfield in Cascadia. Enjoy maintenance free-living in a great location with exceptional views. 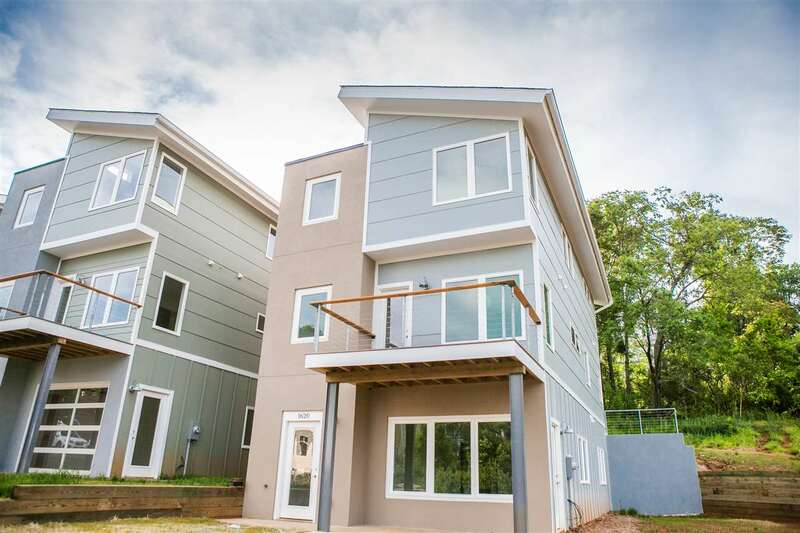 Rooftop deck included in this 3 bedroom/3-1/2 bath townhome w/ 1-car garage. 24 foot wide footprint. Main level features an open floorplan with great room, dining room, and expansive kitchen. 2nd-level includes 2 Master suites with laundry room. Rooftop deck on 3rd floor. 1 BR and full bath on lower level. Pool, clubhouse, picnic pavilion, playground & lawn care included in HOA. Fiber optic internet available. Old Trail. 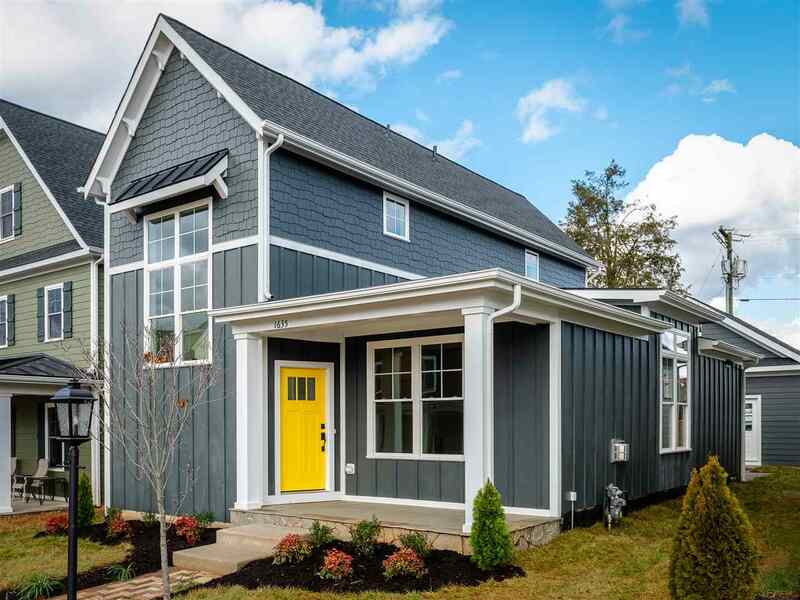 Urban style walkable living in the scenic community of Crozet. Offering the opportunity to build the Pippin on the lot of your choice and the finishes of your selection in our convenient 3000 sq ft Design Center with Interior Designer. Main floor living with first floor master bedroom and spacious great room open to kitchen. Study can double as 4th bedroom or 2nd bedroom on main level. Upstairs includes 2 additional bedrooms, loft, and full bath. 2 car garage. Great finishes including maple cabinets with granite counters, stainless appliances, hardwood & ceramic tile flooring. Eco-Smart energy efficiency package 3rd party verified through HERS score. Enjoy walking to shops, restaurants, gym, and more surrounded by mountain views. Main Level Living in the heart of Charlottesville! 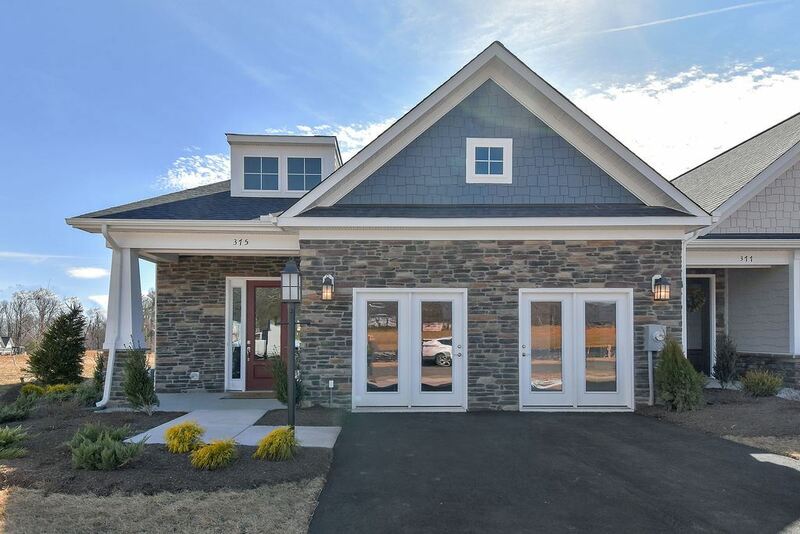 Belvedere offers the perfect blend of country living and urban chic with diverse architectural styles, mountain views and an ideal location minutes from all this Charlottesville. 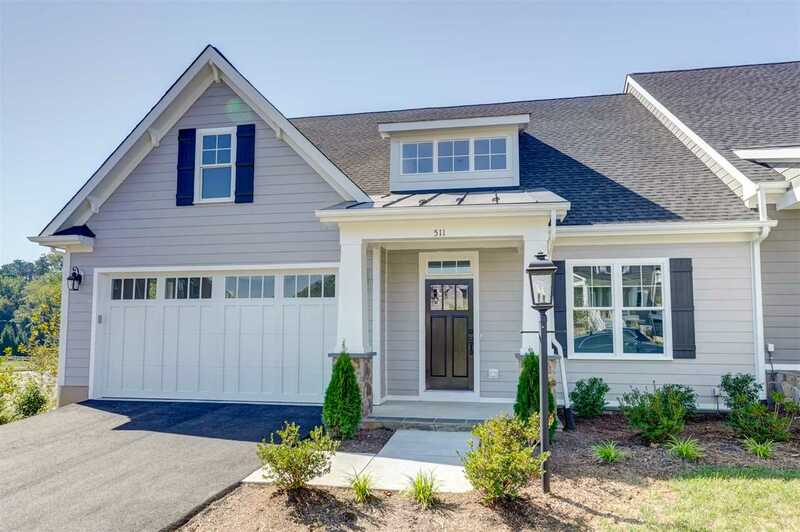 The Village Home B offers a first-floor master, an open main level layout perfect for entertaining, & spacious guest bedrooms on the second floor. After you choose your homesite, visit our Design Studio to customize your new home to fit your style! Fall 2019 Delivery. Interior-unit Allendale in Cascadia. Enjoy maintenance free living in a great location with exceptional views. 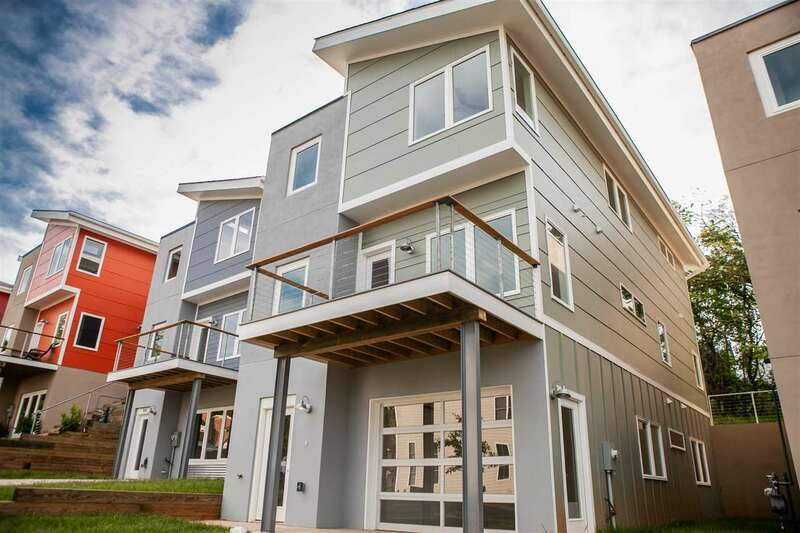 Entertaining rooftop deck included in this 3 bedroom/ 2-1/2 bath townhome w/ 2-car garage. 24 foot wide footprint. Main level features a great room, dining room and expansive kitchen. 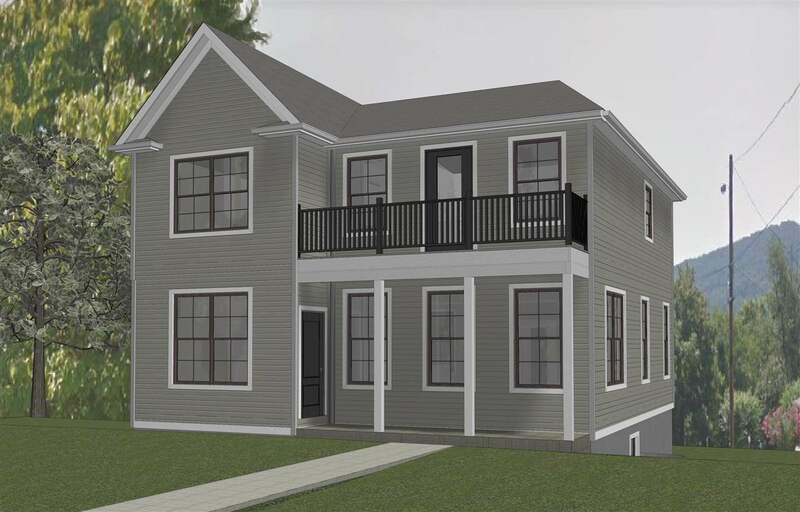 2nd-level includes a Master suite, laundry w/ 2 additional BR\'s and full bath. Rooftop deck on 3rd floor. Study and powder room on basement level . Pool, clubhouse, picnic pavilion, playground & lawn care included in HOA. Fiber optic internet available. Currently under construction with a June delivery date. 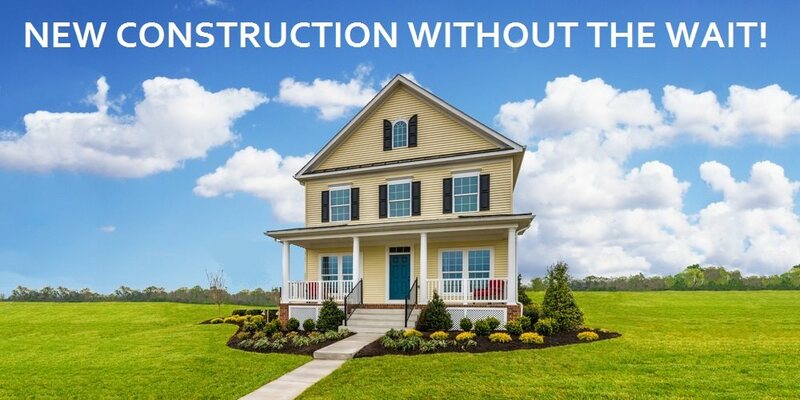 Put under contract by 3/30/19 and make your own finish selections! These unique, modern designs offer a rare chance at new construction in the desireable Belmont neighborhood in downtown Charlottesville. Village at Moore\'s Creek is located within walking distance to Belmont park, Belmont Village, and the Downtown Mall. 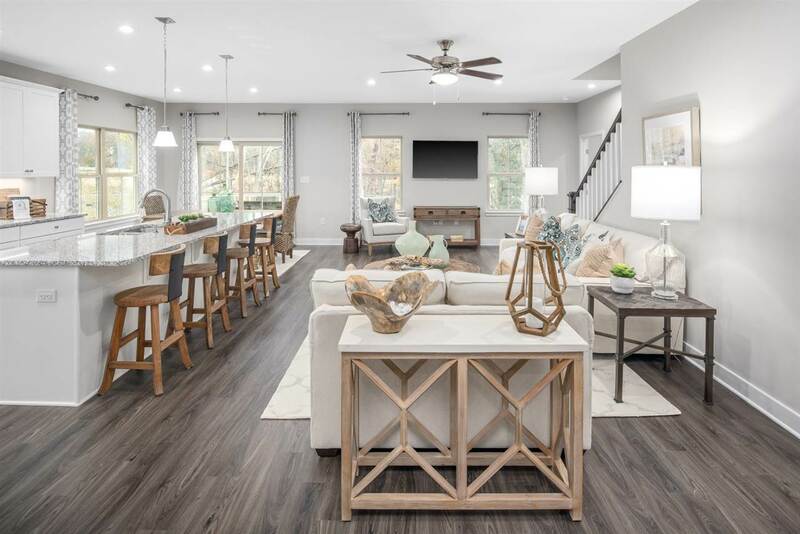 Newly constructed homes, starting in the $400s, feature 3-4 bedrooms, hardwood floors, custom cabinetry, and plenty of flex space to create your own workshop or entertainment room. 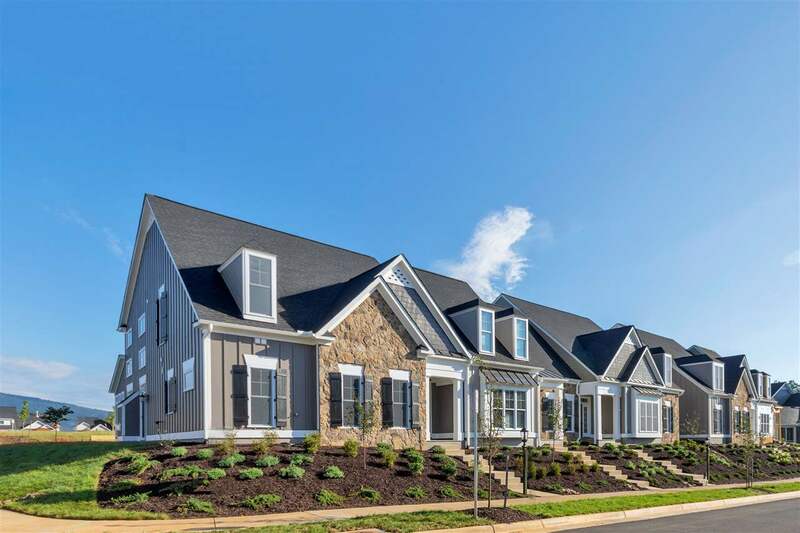 Intersected by the Rivanna Trail and just steps away from the best of Charlottesville, the Village is a new community designed for friends and family to access it all. New to the City, Payne\'s Mill! 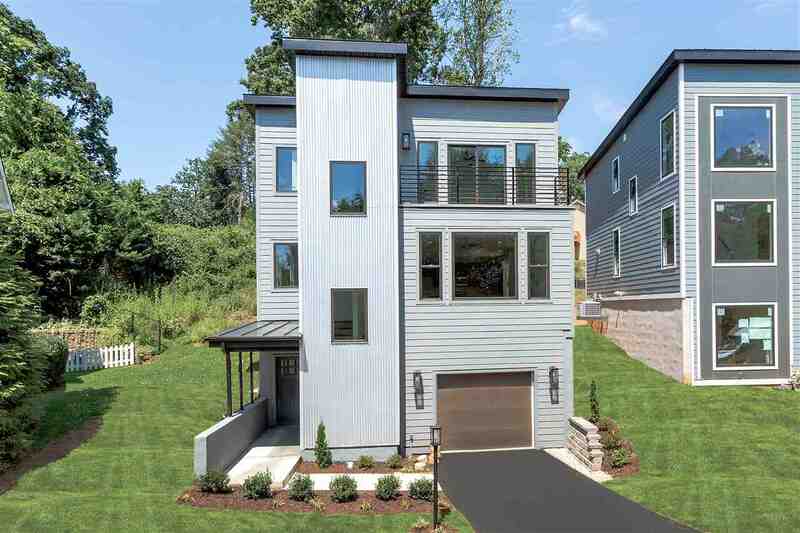 Single family homes, two-car garages, yards...walkable to Downtown. 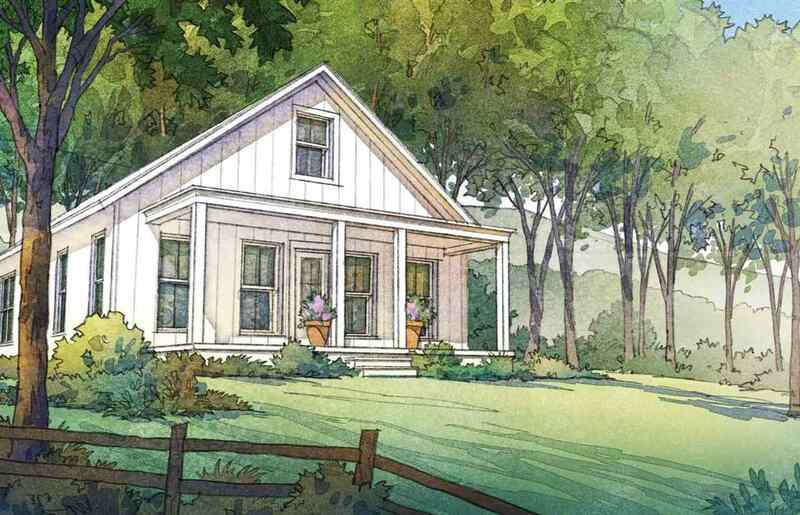 The proposed Prescott offers flexibility in layout and finishes. The main level features an open floor plan with great room, dining, flex space/study, kitchen with large island, mudroom and two-car garage. Upstairs 4 bedrooms and 2 baths offer space to all. Morning room, covered or screened deck, coffered ceilings & multiple exterior elevations are available. Can be built on a basement as well, which could offer plenty of space to expand, with a rec room, and additional bedroom and bath, or utilize as storage. PLUS the opportunity to personalize your finishes in our convenient Design Center. Fiber optic internet. Similar photos. 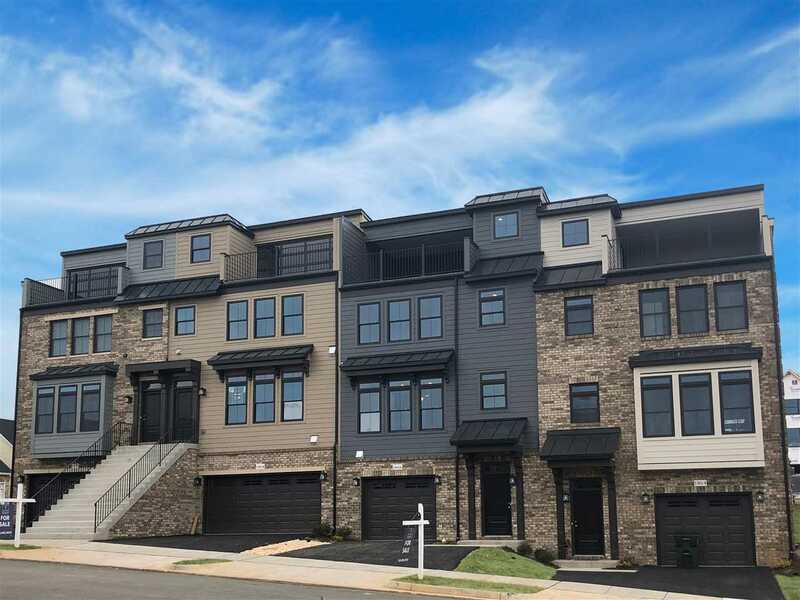 Old Trail Townes- oversized four story townhomes were designed to capture dramatic Blue Ridge Mountain views in an amenity filled, maintenance free setting in Crozet, VA. Thoughtful features and inclusions throughout, including an optional elevator and a custom made mahogany front door. The 4th story features a finished entertainment room or bedroom suite with a rooftop veranda and optional study. The community features total walkability to everything Old Trail Village has to offer--coffee shops, hair salons, retail stores, restaurants, extensive walking trails and more! Each customer will have the opportunity to make interior selections at the builder\'s private Design Studio. Main Level Living in the heart of Charlottesville! 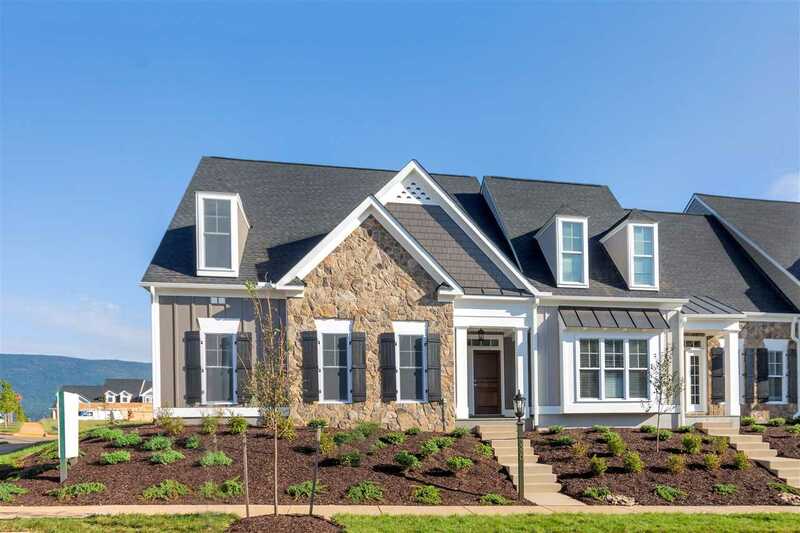 Belvedere offers the perfect blend of country living and urban chic with diverse architectural styles, mountain views and an ideal location minutes from all this Charlottesville. 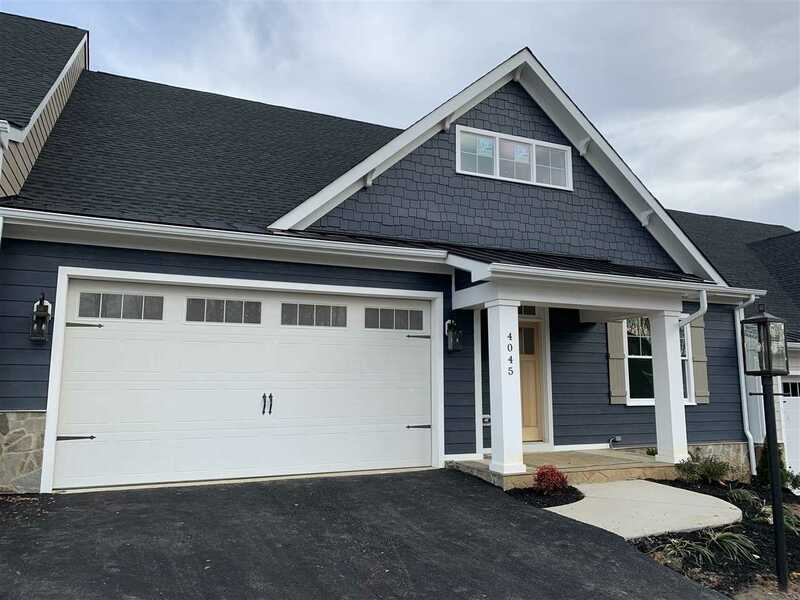 This End Unit, Village Home B offers a first-floor master, an open main level layout perfect for entertaining, & spacious guest bedrooms on the second floor. After you choose your homesite, visit our Design Studio to customize your new home to fit your style! An intimate enclave of ½ acre homesites in the heart of Crozet! 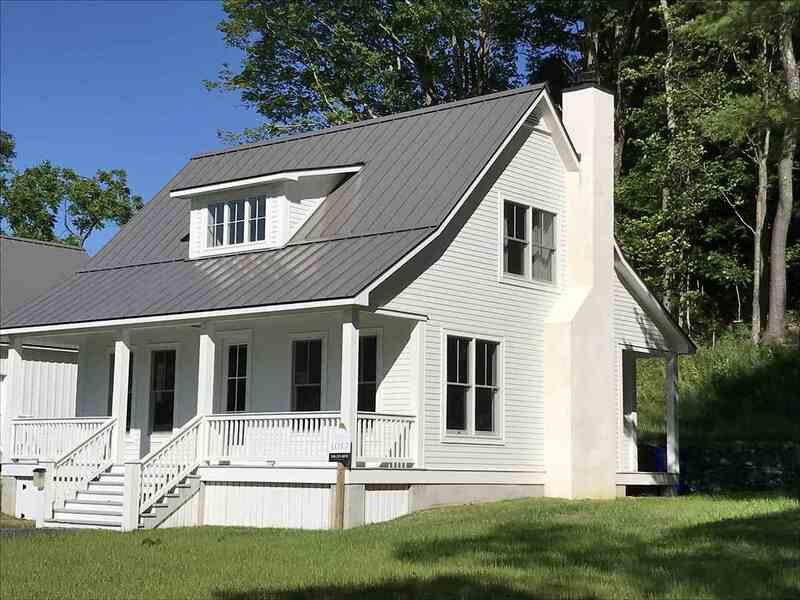 Soak up the beauty of the mountains only minutes west of Charlottesville in the Western Albemarle School District. 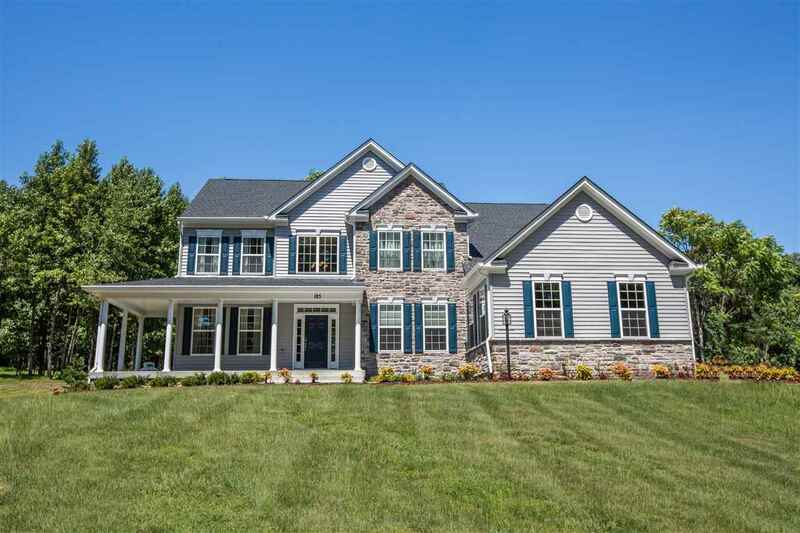 THE IRVINGTON in Chesterfield Landing, 2,392 finished sq. ft. two-level home with a spacious configuration. Features a beautiful kitchen with island, granite, 9\' ceilings and built with Green Living features in mind. Other features include a Trane HVAC, Low E windows with argon gas, whole house air cycler for improved air quality, and more. Other models available. FOR A LIMITED TIME: FREE REC ROOM and $6,000 TOWARD CLOSING COSTS WITH OUR PREFERRED LENDER AND SETTLEMENT SERVICES. 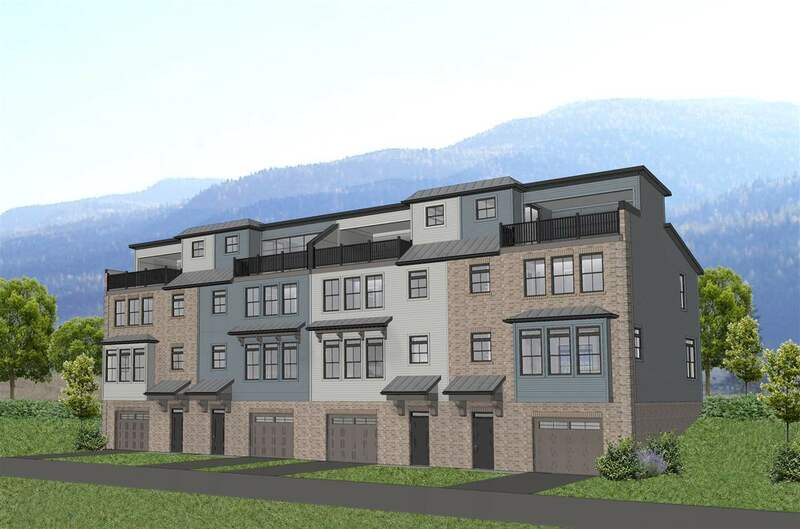 Old Trail Townes - oversized 4-story townhomes designed to capture dramatic Blue Ridge Mountain views in an amenity filled, maintenance-free Crozet setting. Thoughtful features and inclusions throughout, including an optional elevator and a custom made mahogany front door. The 4th story features a finished entertainment room or bedroom suite with a rooftop veranda and optional study. The community features total walk-ability to everything Old Trail Village has to offer--coffee shops, hair salons, retail stores, restaurants, extensive walking trails, and more! Each customer will have the opportunity to make interior selections at the builder\'s private Design Studio. Screen porch included. Under construction in the small enclave of Dunlora Park. The \"Willow\" w/1st floor master bdrm. & 2nd bdrm. w/ 2nd full bath on main level. 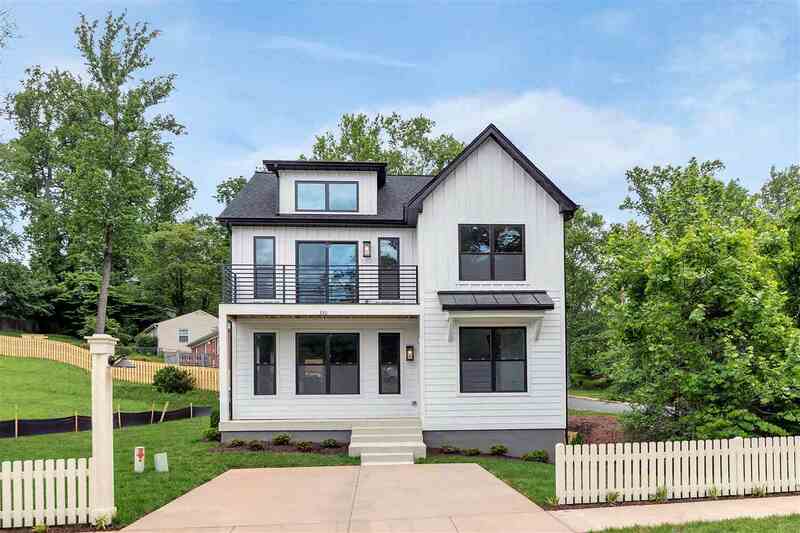 \"Energy efficient construction delivered by VA\'s EarthCraft Builder of the Year 2017.\" Wide plank hardwood flooring, porcelain tile flooring, tile in owner\'s shower, granite countertops, painted maple cabinetry, wooden shelving, beautiful trim detail, and so much more. 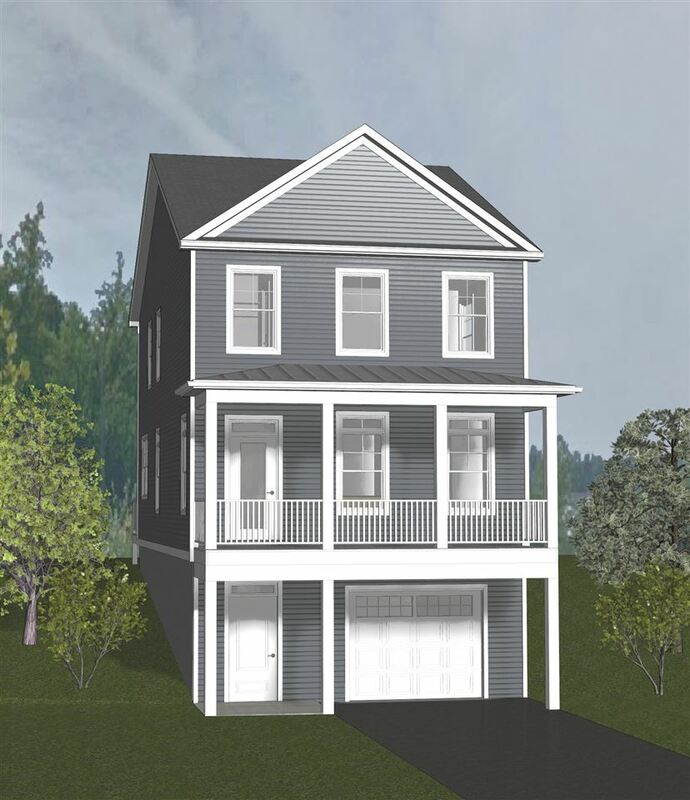 Open floorplan design with stepless garage and master bath shower entries, wider doorways and staircases are just a few of the incorporated Universal Design features within the home .Only minutes to downtown Charlottesville, UVA and the Rivanna River. Similar photos. An intimate enclave of ½ acre homesites in the heart of Crozet! 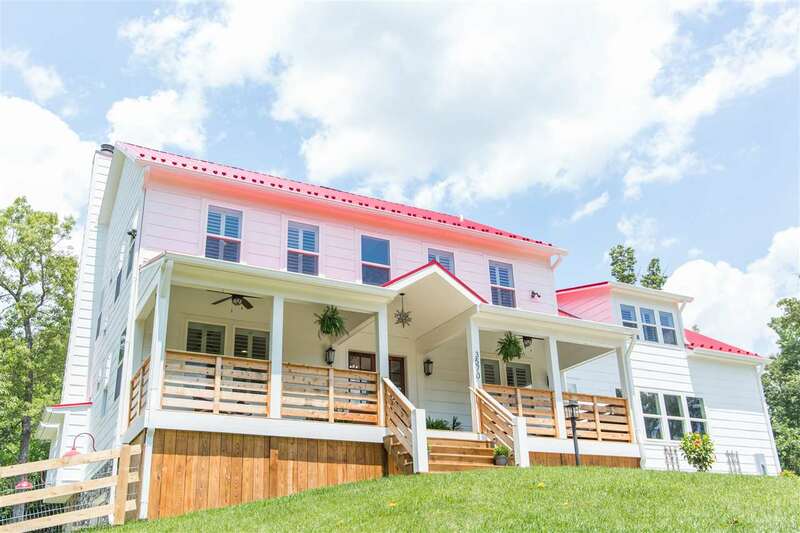 Soak up the beauty of the mountains only minutes west of Charlottesville in the Western Albemarle School District. THE Alexander in Chesterfield Landing is a two-level home that features a first flooor owner\'s suite. Features a beautiful kitchen with island, granite, 9\' ceilings and built with Green Living features in mind. Other features include a Trane HVAC, Low E windows with argon gas, whole house air cycler for improved air quality, and more. Other models available. FOR A LIMITED TIME: FREE REC ROOM and $6,000 TOWARD CLOSING COSTS WITH OUR PREFERRED LENDER AND SETTLEMENT SERVICES. New to the City, Payne\'s Mill! 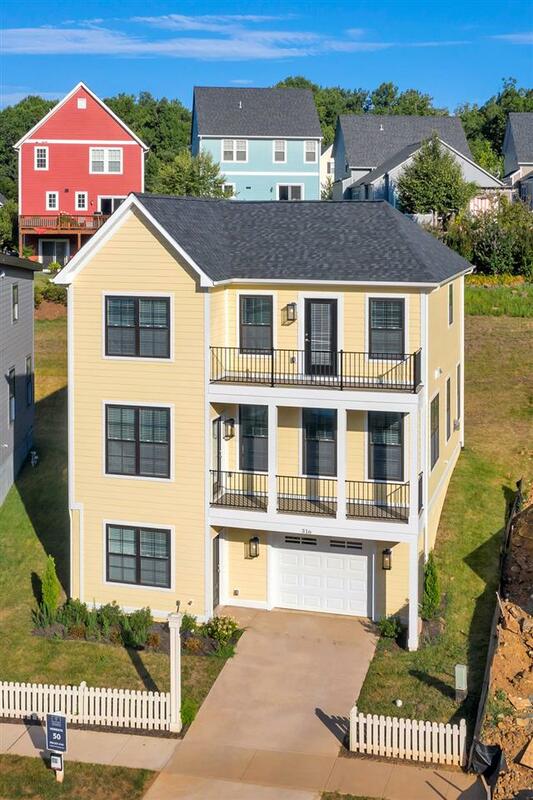 Single family homes, two-car garages, yards...walkable to Downtown. MAIN-LEVEL MASTER on the proposed Grayson. 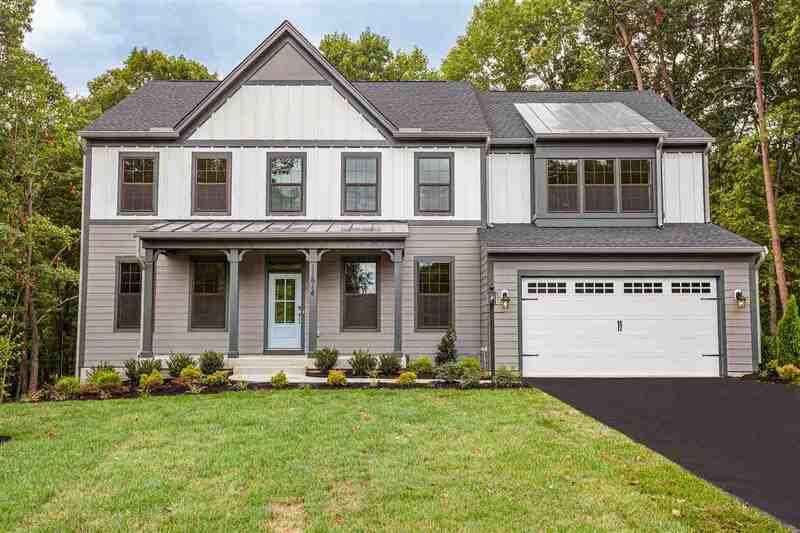 Additional features include an open floor plan with great room, dining, flex space/study, kitchen with large island, mudroom and two-car garage. Upstairs find a flexible loft, 2 bedrooms and 1 bath. Screened deck, volume ceilings & multiple exterior elevations are available. Can be built on a basement as well, which could offer plenty of space to expand, with a rec room, media room and additional bedroom and bath, or utilize as storage. PLUS the opportunity to personalize your finishes in our convenient Design Center. Fiber optic internet. 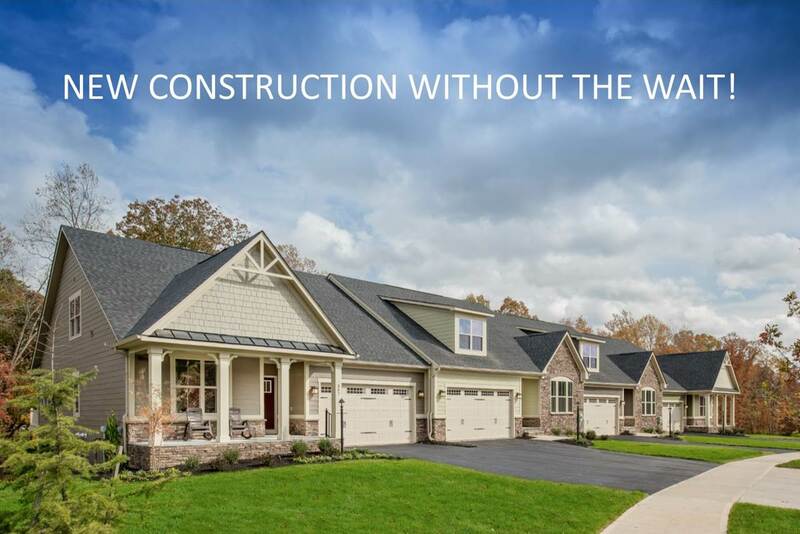 Presenting Westlake at Foothill Crossing, where you can enjoy Mountain Views with Wooded Seclusion on half-acre Homesites less than a mile from Downtown Crozet, Breweries, Vineyards, & I-64. 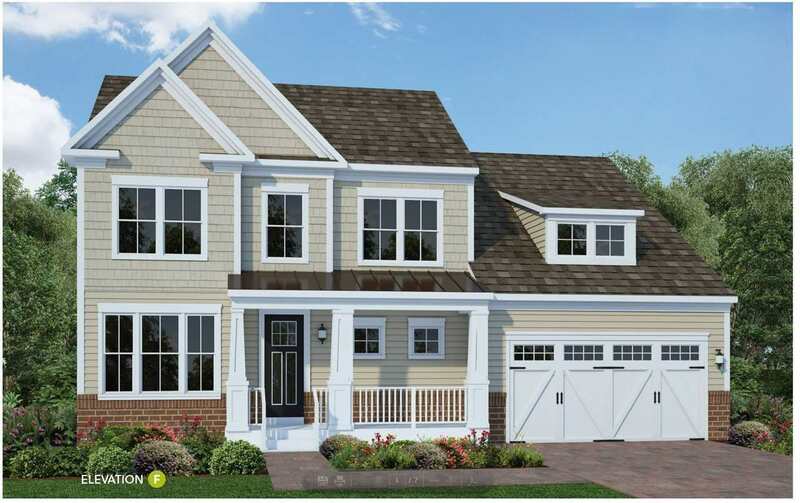 Our to be built Pennington features MAIN LEVEL LIVING, 9 ft. ceiling, large walk-in closets, 2 car garage. Spacious kitchen w/ 42\" Maple or Cherry cabinets, granite, & SS appls. that flow into your expansive family room. Spacious Owner\'s suite with luxury bath w/ soaking tub & shower w/seat. Green living features throughout for greater comfort and savings on utilities. SECURE YOUR FAVORITE LOT TODAY! All photos similar to. 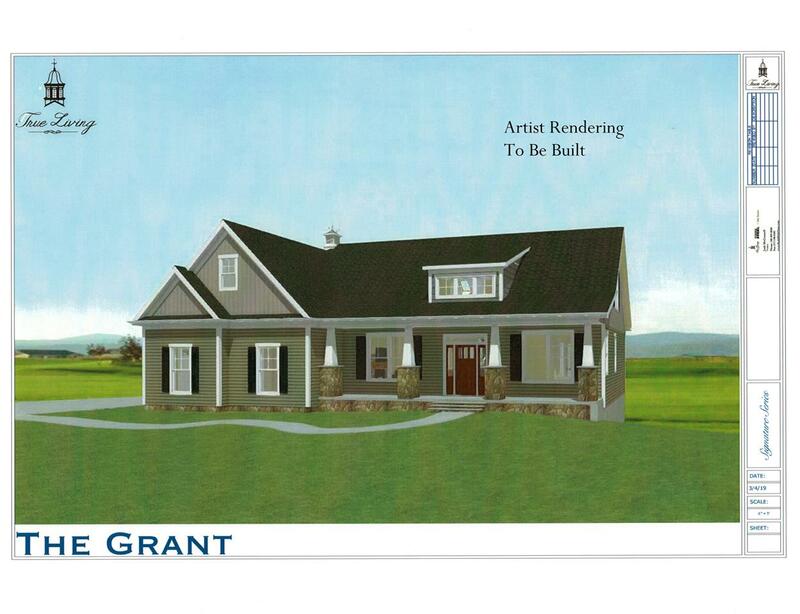 Build your dream home in Glenbrook in Foothill Crossing, a new neighborhood in Crozet with beautiful mountain views. Buyers have the luxury of choosing the lot and home plan to best fit their lifestyle. First and second floor master bedroom plans available. Homes can be built on crawls or full basements. Priced from $499,900. Glenbrook is located off VSH 240 off Park Ridge Drive and will have direct access to downtown and Claudius Crozet Park and Pool. New to the City, Payne\'s Mill! Single family homes, two-car garages, yards...walkable to Downtown. The proposed Addison lives large! Open main level with great room, dining, flex space/study, kitchen with 8\' island, mudroom and 2-car garage. 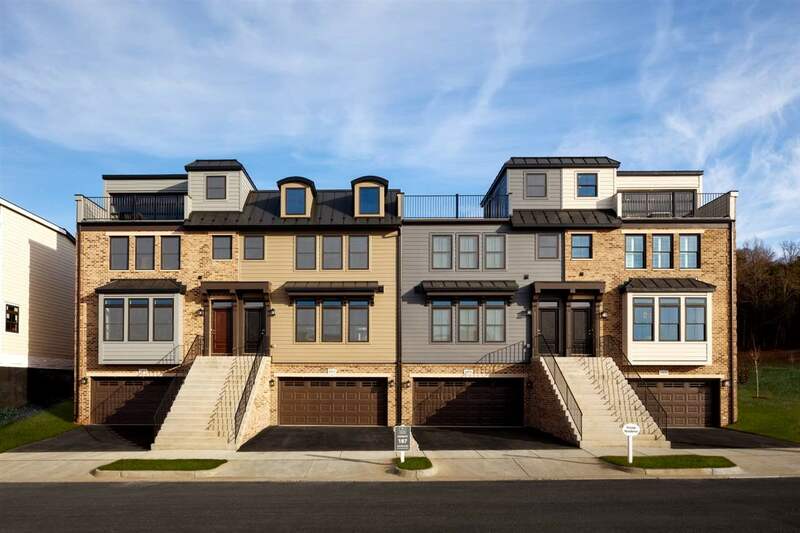 Upstairs 4 bedrooms and 3 baths offer space to all - 1 bedroom/bath suite, 2 bedrooms sharing a jack-and-jill bath, laundry & abundant storage, plus the luxurious and configurable master suite. Morning room, covered or screened deck, coffered ceilings & multiple exterior elevations available. Can be built on a basement as well, offering plenty of space to expand, with a rec room, 5th bedroom and bath, or utilize as storage. Personalize your finishes in our convenient Design Center. Fiber optic internet. 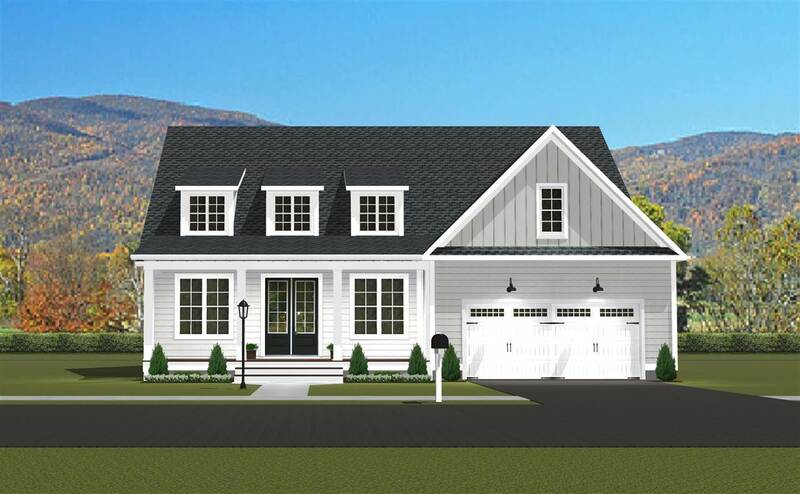 Custom local builder presents the PARKSLEY. 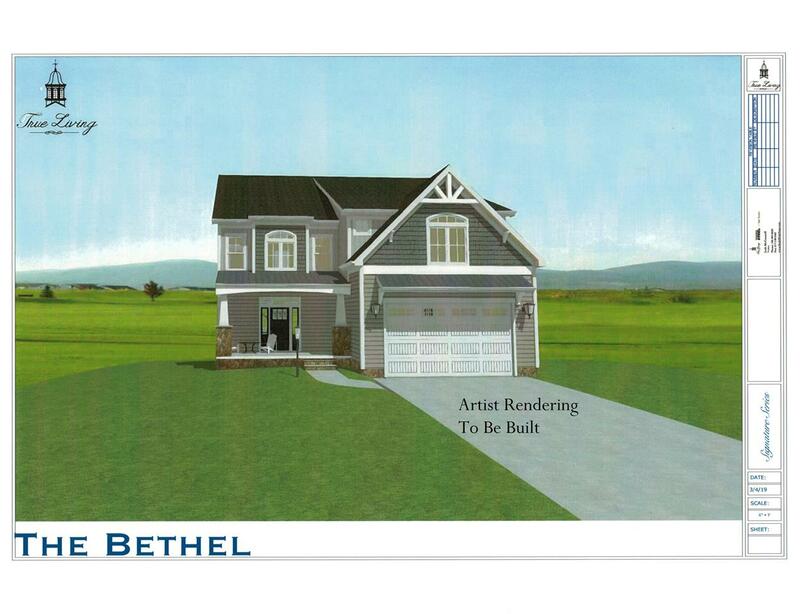 Proposed single family home in Glenbrook. The main floor of this home features a large open living area, huge kitchen, eat-in island, informal dining, mudroom and study or first floor bedroom. The second floor of the home includes 4 bedrooms with 3 full baths. The master bedroom includes a massive walk in closet. Evergreen Home Builders standard level of finishes include: 3/4\" REAL hardwood floors on the main level and second floor hall, 48\" wall cabinets in kitchen with dovetail drawers, upgraded carpet and pad, upgrade tile in bathrooms, stainless steel appliances, quartz countertops, 2x6 exterior wall construction, upgraded trim with crown moldings. 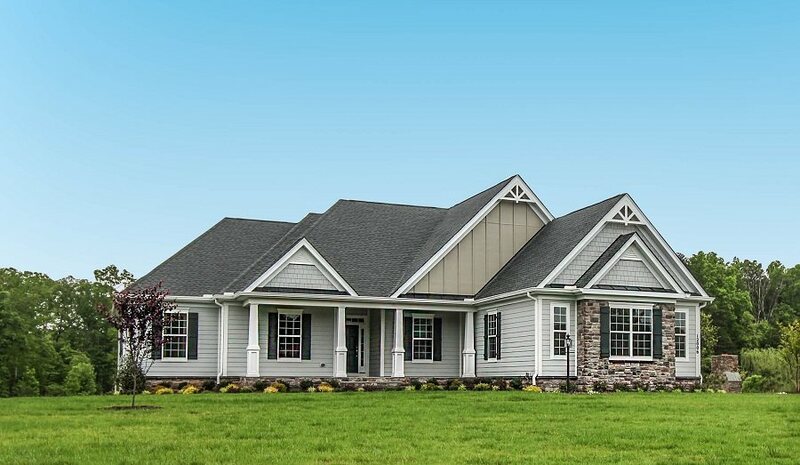 Build this amazing farmhouse-style custom home on a spacious and private cul-de-sac lot in beautiful Guildford Farms! 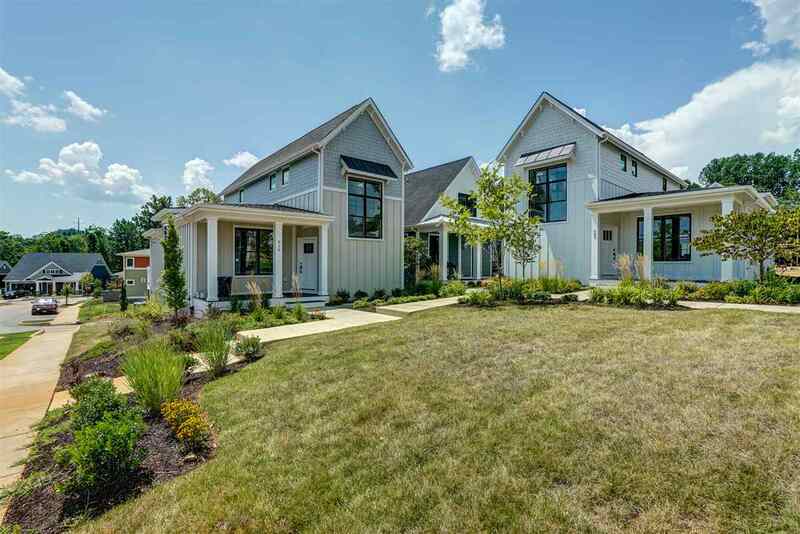 Choose your own finishes and customize your one of a kind home on a lot surrounded by protected green space with a creek-side walking trail. Just a short drive to Charlottesville, the airport, shopping, and the Shenandoah Valley. You couldn\'t ask for a better value! Final price and features based on purchaser\'s choices.